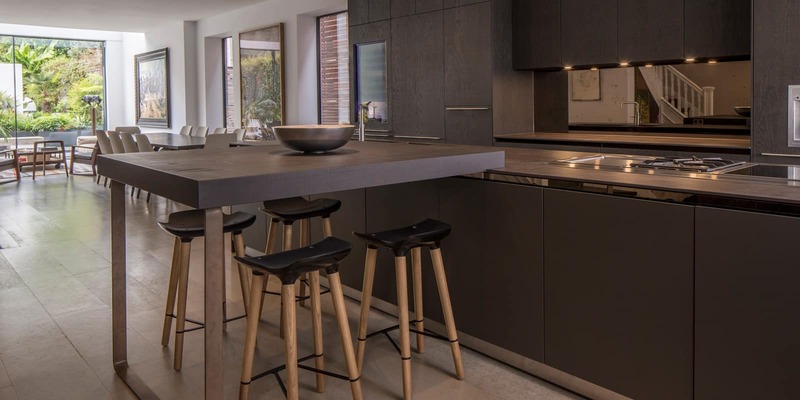 The interior design including extensive bespoke joinery and interior layout of this 5,000 square foot family home in Belsize Park, North West London. 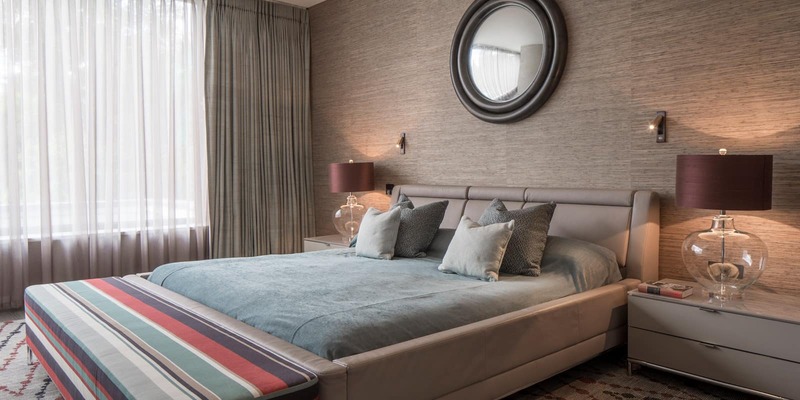 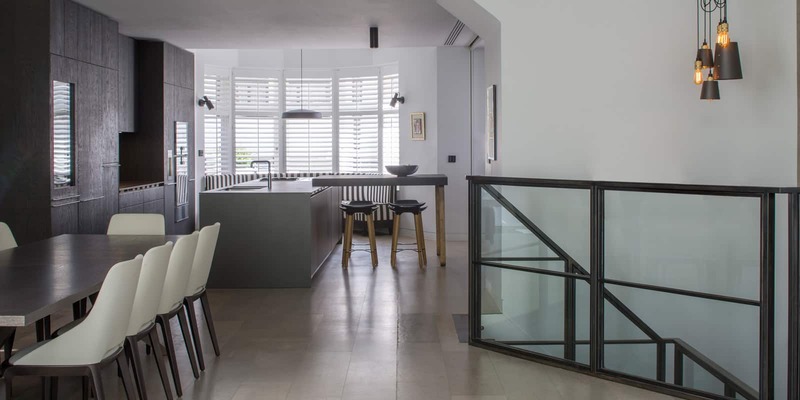 Roselind Wilson Design was appointed by these young, dynamic homeowners and worked closely with their specialist contractor to deliver an elegant and functional interior scheme with a relaxed, contemporary edge. 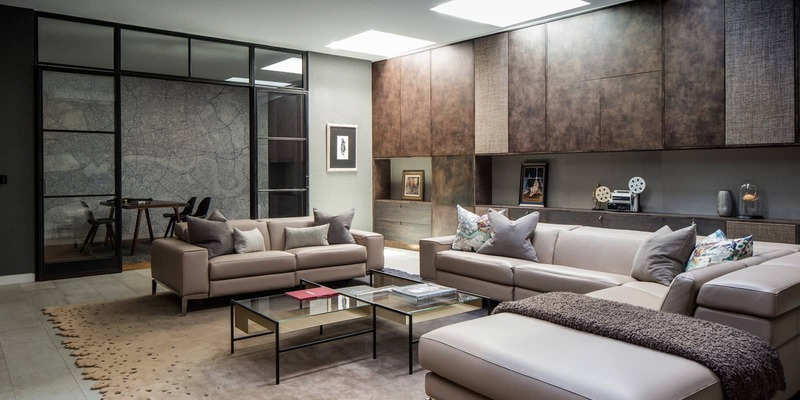 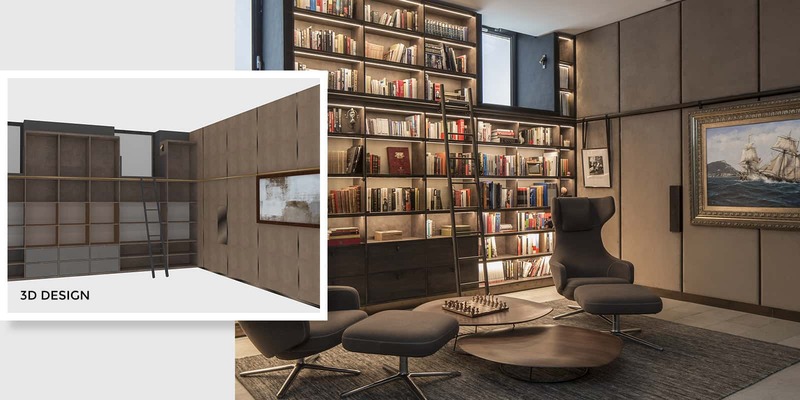 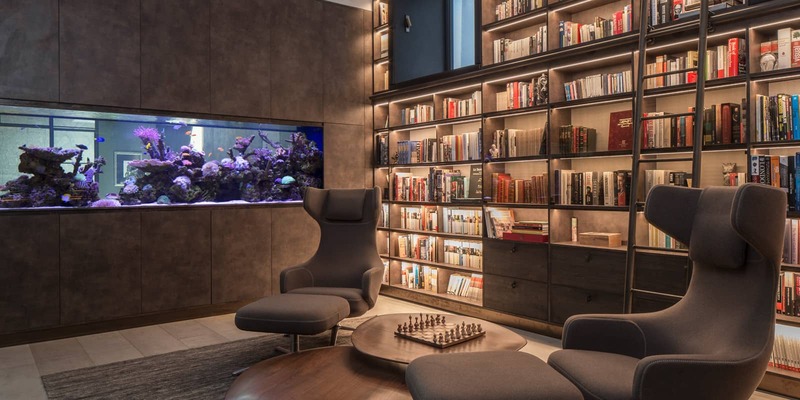 When their property experienced residual damage from a neighbouring fire, the client took the opportunity to redesign the family entertaining spaces, including the lower ground floor library and media room, master bedroom and all bathrooms within their home. 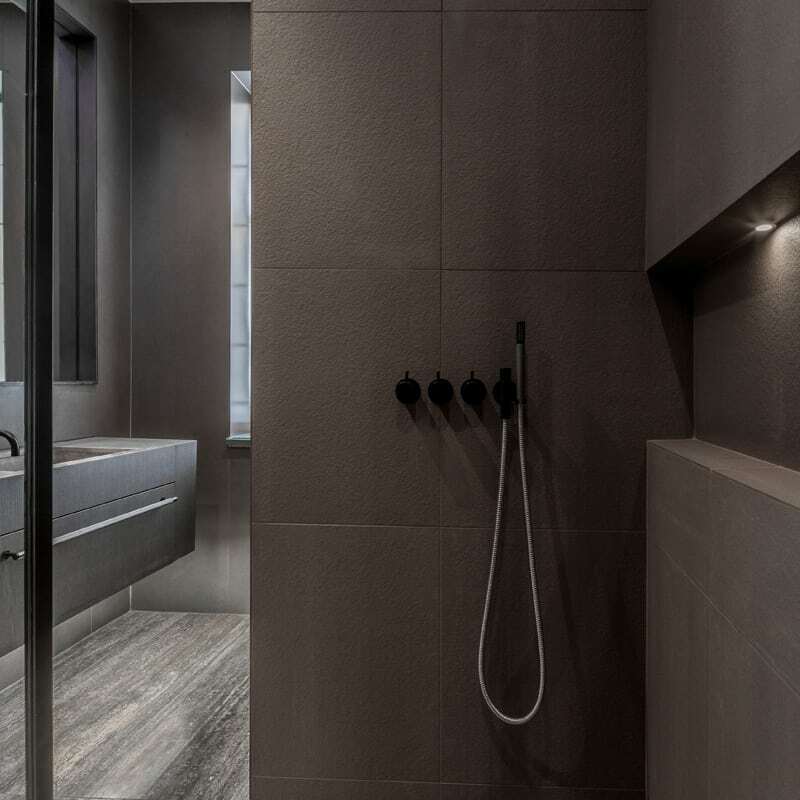 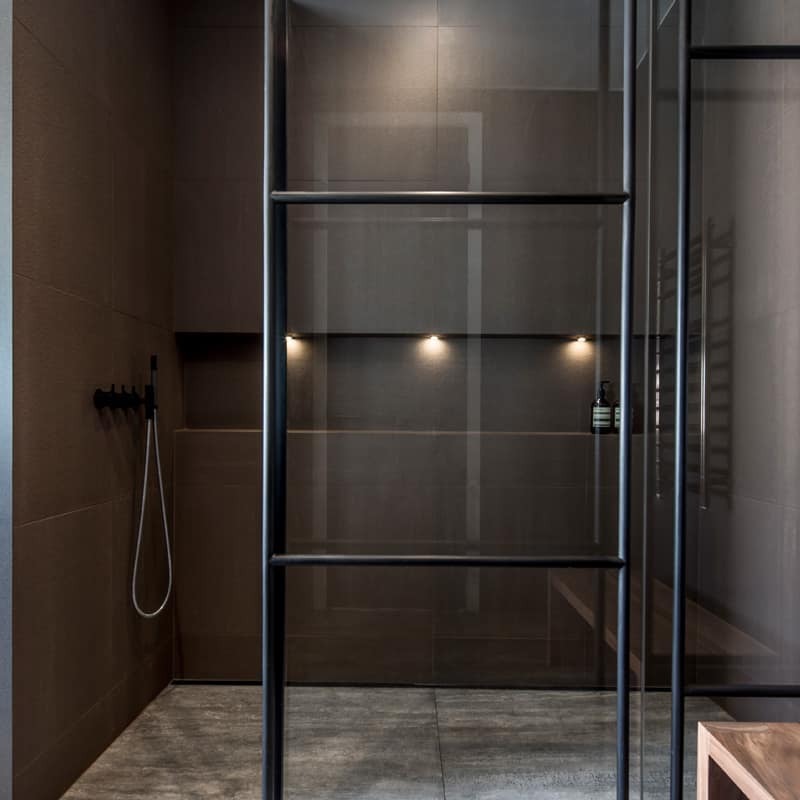 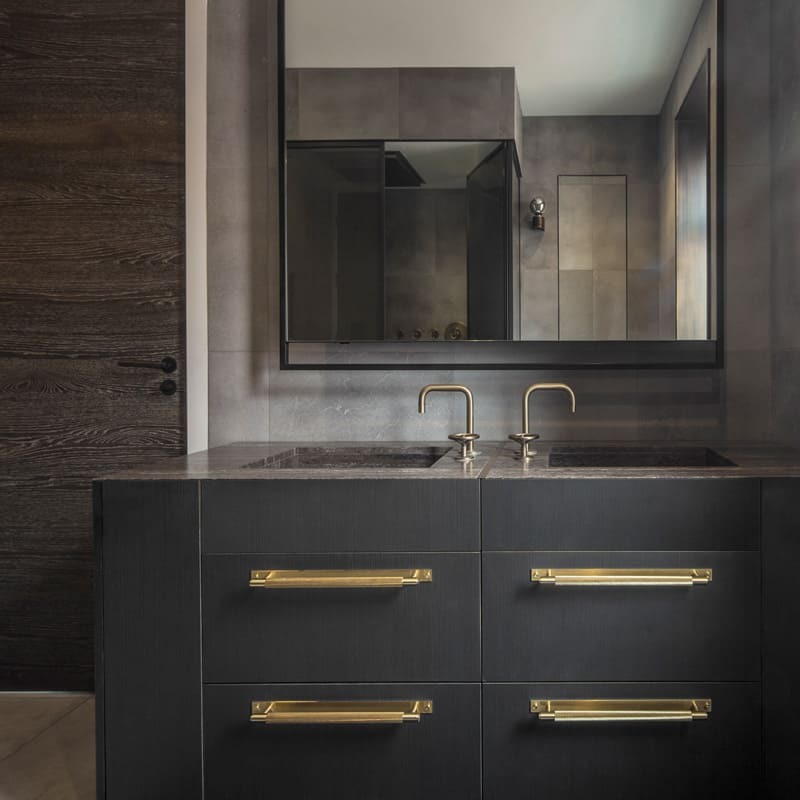 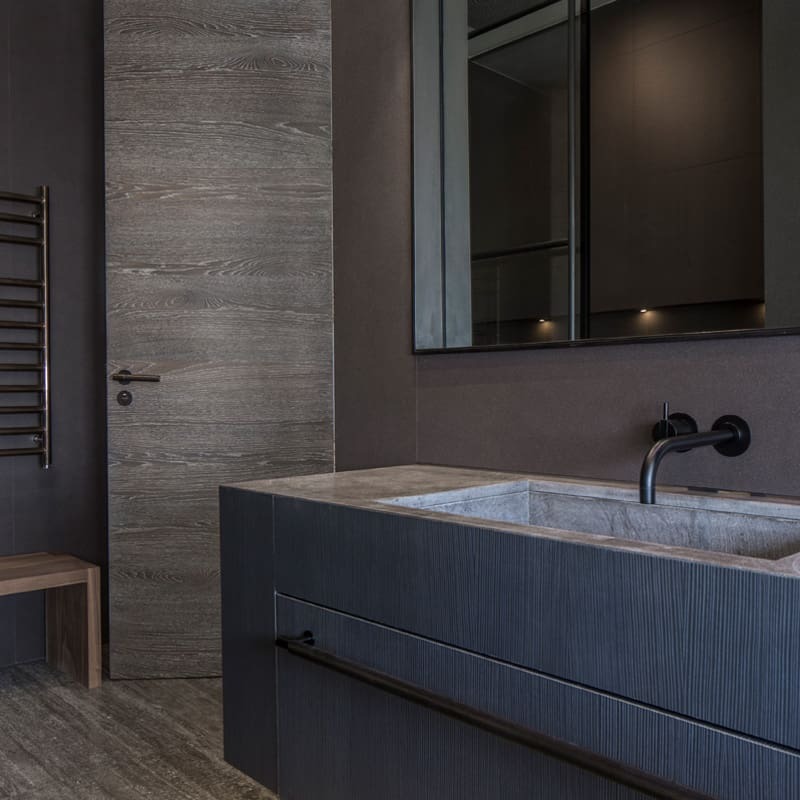 In this well-designed and liveable interior space, form and function merge to realise a stylish and versatile family home while for the design of the bathrooms, a focus on rich texture and sophisticated finishes take centre stage to display a prevailing appreciation of contemporary, industrial luxe.